If you’ve been following my blog for any length of time, you know I’m always looking for ways to incorporate vegetables into meals, especially those the children eat since they are less likely to simply tuck in to a kale salad or plate of braised asparagus. 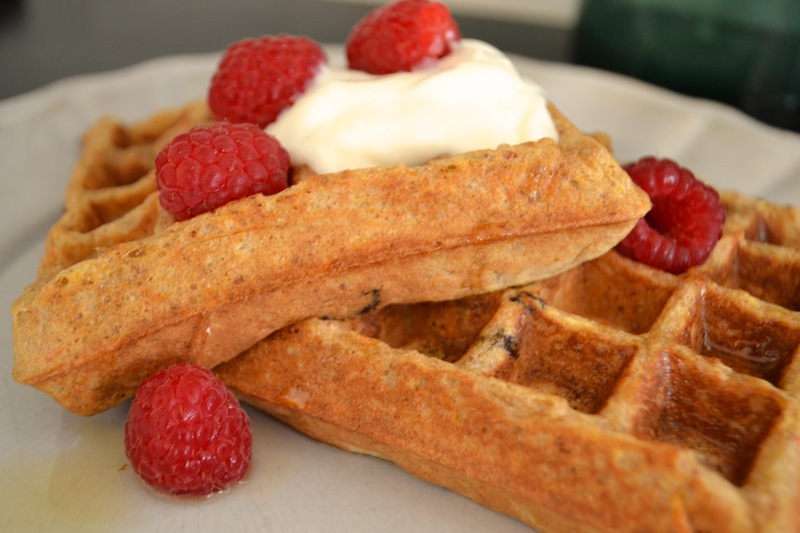 The recipe for these Carrot, Coconut, Pecan Waffles is an adaptation of a recipe from Dorie Greenspan’s “Waffles: from morning to midnight“. As always, I’ve incorporated more nutritious flours, reduced the sugar and substituted some fats. The natural sweetness of the currants and carrots combined with the slight crunchiness of the pecans and coconut make these waffles my current favorite and one of my kids’ favorites, too. Drain currants, and pat dry with a paper towel. 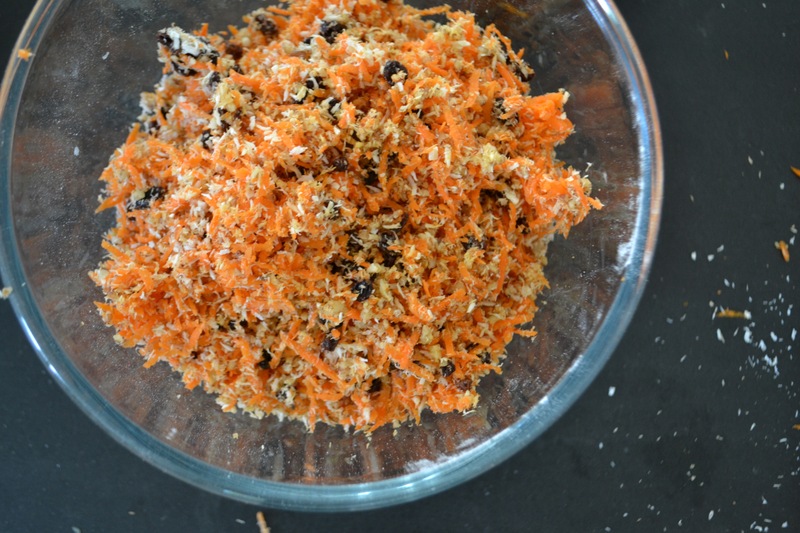 Toss together with grated carrots, pecans and coconuts. Set aside. In a large bowl, stir together the flours, baking powder, salt, cinnamon, ginger and sugar. In another bowl, lightly whisk the eggs. Whisk in the milks and vanilla. Pour the liquid ingredients over the dry ingredients and stir until just combined. 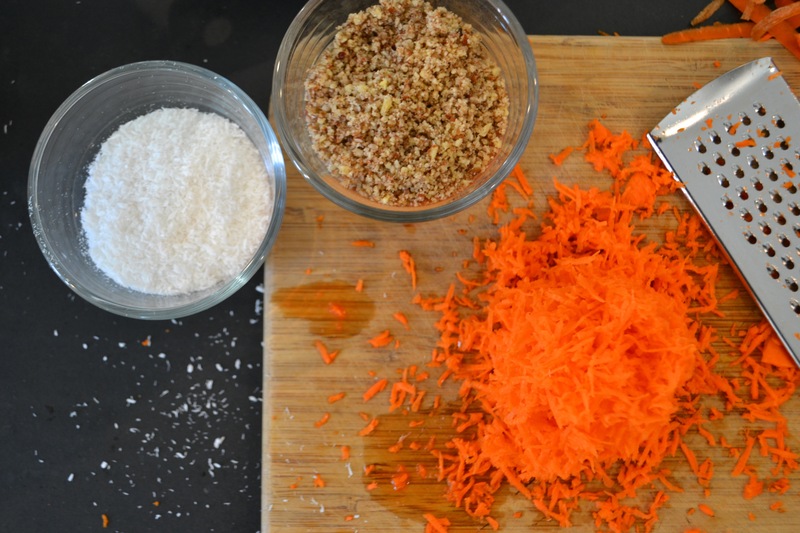 Fold in the carrot mixture and melted butter and oil. Lightly butter or spray your waffle grids. Spoon out 1/2 cup of batter into each grid (depending on the size of your grids). Cook until light golden brown. Serve with maple syrup and/or honey-sweetened plain yogurt. Makes 6-8 waffles depending on grid size. im drooling just looking at that picture.. this is for sure being my next breakfast. Tomorrow? i love the carrot and coconut part mostly.. and the raspberries make it that much better! So happy i came across this! Interesting idea. A good alternative to carrot muffins. I will try it one day. BTW, I love your recipes. I’ve only discovered it and you have a lot of fabulous recipes so I will go exploring more. Cheers! Thank you for your nice comment and for visiting my blog! I’m going to look at yours, too.